MTPI is totally committed to our customers goals, and has included the performance of quality rotational molding services in a timely and cost-efficient manner. 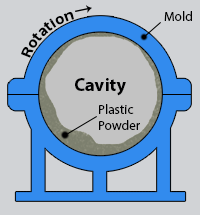 Rotational molding is a low-pressure process and the strength required from the molds is minimal. This results in its ability to produce large or complex parts on short notice, using inexpensive molds. Due to the low tooling cost, rotational molding is ideally suited for producing prototypes and small or large quantities of production parts. Rotational molding tends to produce an increasing wall thickness on outside corners of parts, which gives the process a distinct advantage. We have the technical ability and technology needed to execute intricate contours, undercuts, molded-in inserts and double walls. 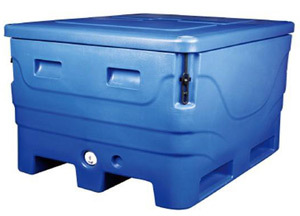 Our product expertise applies to everything from specialty tanks to storage containers as well as kayaks, agricultural products and boat consoles. Raw, WIP and finished storage comprising of 21,450 sq. ft.
At MTPI, we take quality seriously. We are ISO / ASQ Certified and meet SAE / ASTM Standards. We have the capacity to handle your project, large or small.